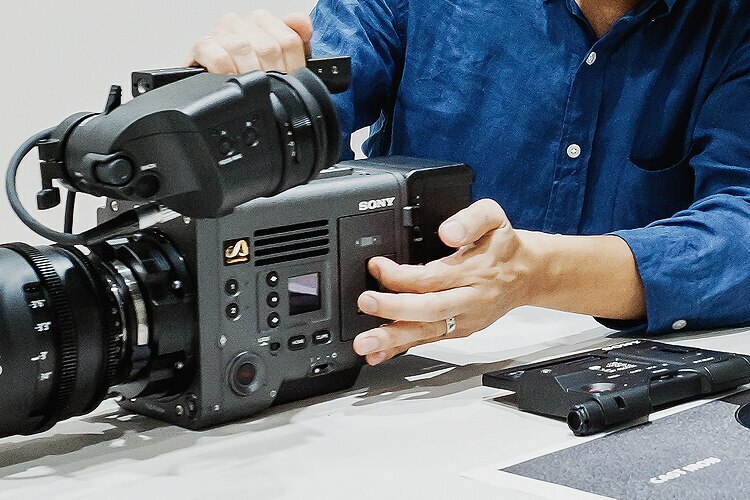 Boldly ushering film cinematography into the next generation, the VENICE—Sony’s latest cinema camera—boasts a brand-new, 36x24-mm Full-Frame sensor and completely redefines the palette of visual expression. 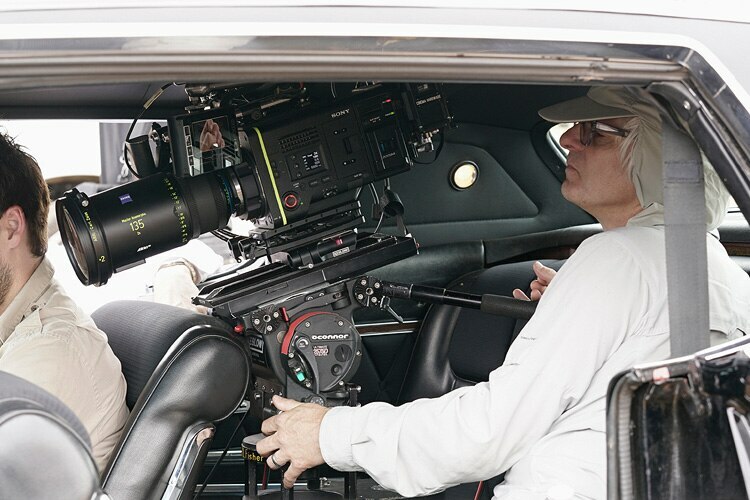 The high-performance camera, already making an impact on Hollywood and a variety of other scenes, grew out of a co-creation initiative with actual creators in the film-production industry to optimize on-set user-friendliness. We sat down with project members on the Sony side to talk about the vision behind the VENICE, explore the evolution of the design, and delve into the collaborative process behind the innovation. 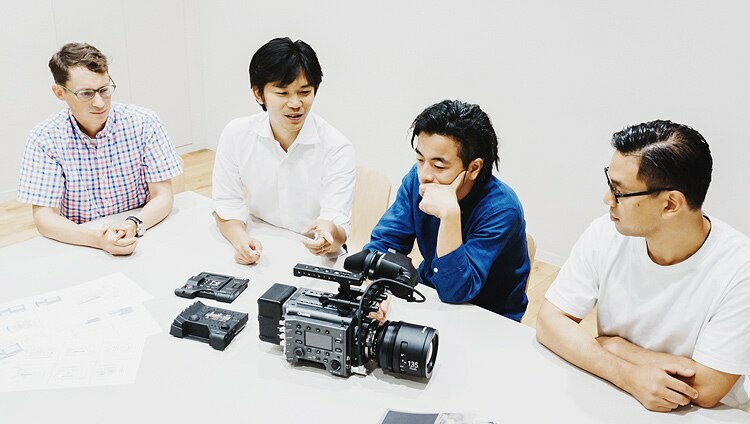 The VENICE development project started with a workshop, where Sony employees discussed how they might redefine the cinema-camera concept from a user perspective. What kinds of issues came to light as the team worked to understand the on-set environment? OkahashiSony broke into the cinema-camera market in 2000 with the HDW-F900—the world's first digital cinema camera. It’d go on to be the camera of choice for a wide array of film projects, including portions of George Lucas's Star Wars franchise, and evolve into the CineAlta brand’s extensive lineup of different models. Times have changed, though; if you go behind the scenes in Hollywood these days, you’ll be hard-pressed to find Sony digital cameras on set. Other manufacturers have a virtual monopoly on the whole segment. We knew we had to take a different approach to re-establish a presence for Sony, so we decided to put aside our preconceived notions, take up the challenge, and develop a camera tailored specifically to film production. One of the things we concentrated on was making the setup foolproof. A Hollywood film set has to be a tight ship; with all the money involved and all the actors on busy schedules, time is of the essence. Camera operators, for example, can't afford to make any mistakes with their equipment. The VENICE needed to minimize the potential for error. Simplicity was another thing. 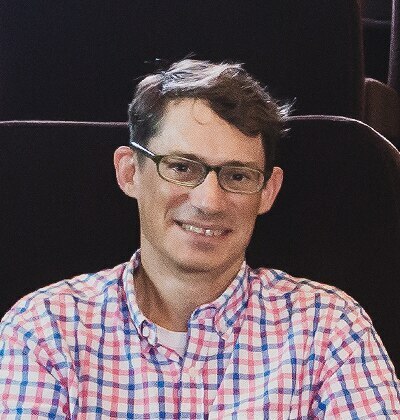 Since most production crews rent their cinema cameras for shoots, there's always a chance that a camera operator will be using a specific model for the first time. That makes a simple, intuitive camera design essential to a smooth, efficient shoot. We grounded ourselves in the user perspective, always focusing on how to make the camera as user-friendly as possible. Forrest To make that happen, we headed straight to the source for interviews with users, conducted on-set observations, and worked up a user-centered design proposal that'd inform the product-development process. We really had to understand the ins and outs of a film set to optimize the overall design, of course, so we got input from people with firsthand expertise. We gathered together groups of outside professionals with years of experience in the film industry and asked about what we needed to know: how crews go about actually making movies and what kind of workflow they follow. That helped us pick out issues to address. Big shoots normally involve teams of four or five people tasked with a single camera. There's the director of cinematography, who gives the instructions; the camera operators, who frame the shots; and the assistant camera operators, who take care of any necessary adjustments to the camera’s aperture or focus settings. That might sound like a lot of hands on deck, but everyone has a clear, specific responsibility. With that insight, we mapped out the role relationships—who does what at what stage of the process—and noticed that assistant camera operators shoulder a lot of the on-set workload, seeing as how they have to reconfigure camera settings and hit the REC button while a shoot's underway. The question at the core of the VENICE project started to come into view: how could we design the optimal cinema camera for film-specific environments, a device that'd let industry professionals really devote their full attention to the shot at hand? With that basic idea in place, we got to examining the issues from different perspectives and coming up with hypothetical solutions. The design team put together several prototypes, brought them to film studios in Hollywood and other locations, and used the feedback they got from industry creators to enhance the VENICE design. What did that process reveal about the ideal approach to creating a cinema camera? ForrestUsing the ideas that emerged during our workshops, we sketched out paper prototypes of the camera's controls and user interface (UI), brought the prototypes to set locations in Hollywood and London, and had filmmakers give us some feedback. 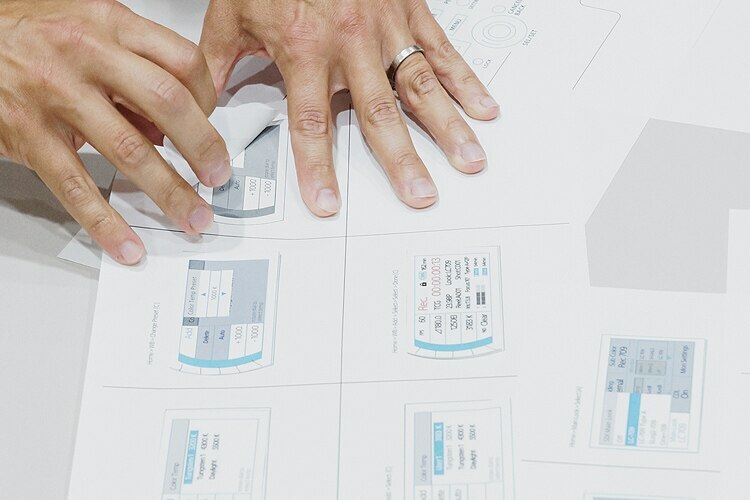 The design might've looked simple and hassle-free to us on paper, but you can’t be really sure until you've gotten actual users to test the ideas out. Some of the filmmakers we worked with, for example, brought up the possibility that camera operators might accidentally touch the wrong thing when they’re trying to use the controls blind. That honest feedback—directly from the field—was crucial, leading us to streamline the camera’s functionality and cut down on the total number of buttons for a simpler, cleaner button layout and menu setup that could minimize the potential for error. The design isn’t just an amalgam of what film creators want at this very moment, though; it looks beyond those needs, offering solutions for the more potential, under-the-surface issues that our interviews and on-set observations hinted at. Take the control format, for example. Originally, the design called for users to set their initial parameters with buttons and dial controls. As we observed actual operators more closely, however, we got the feeling that the dials might be creating unnecessary stress―something that the camera assistants themselves hadn’t appeared to notice. Having seen operators’ instincts and reflexes up close, we made adjustments and eventually arrived at a simple UI for configuring the camera’s basic settings with a lean layout of just six buttons. 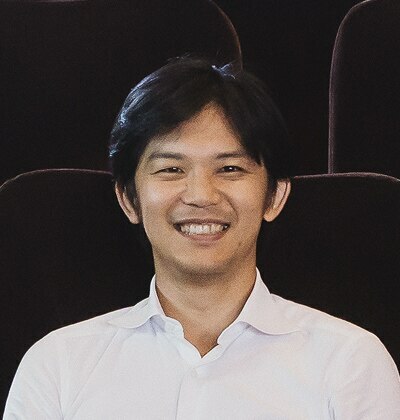 HiranoSimple, minimum-hassle operations were one part of the product design, but the team also put a lot of work into maximizing durability and flexibility. The durability component ties into the grueling conditions that film shoots can call for—a director might want a scene under the heat of the sun, for example, or in sandstorm-like environments. A cinema camera has to be able to withstand the elements, obviously. For us, that meant creating something that would be strong, look strong, and feel strong, too. We incorporated high-rigidity materials for optimal physical strength, first of all. Then, we applied a four-layer coating to the magnesium-alloy exterior to make the texture evoke that toughness—it almost feels like Nambu ironware, which stands up to years and years of use without any problem. The cover of the slot for housing recordable media also features magnesium alloy, rounding out a thick, robust structure that brings the entire camera—down to the connectors and screws—together. The finished product exudes reliability, which is one thing every operator is after. At the same time, there's the need for flexibility. A cinema camera has to have the versatility to perform in virtually any situation, with film crews using bevies of lenses and accessories to get specific shots. To maximize flexibility, we developed a new structure that lets users adjust the camera's handle and viewfinder positions freely according to the lenses they’re using and the balance they're looking for. Shots along walls, inside cars, or in other cramped conditions are where that feature really shines, giving users incredible freedom. The camera lets users get set up without any special equipment, too—when the schedule is tight, the VENICE makes it easy to get going in a snap. The REC key, one of the camera's most emblematic features, was another key point for us. From size and positioning all the way to tactile response, we made sure that the button would have the right operable feel. While product development was obviously a big part of the VENICE project, the team also worked on communication design for use in product catalogs and other media. What went into the decision to shift away from a technology-centric focus and toward a message that foregrounded the filmmakers behind the camera? 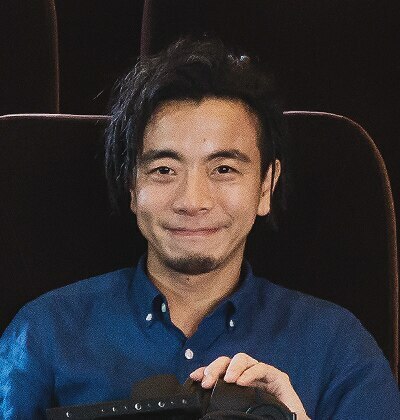 YokoyamaThe VENICE is a camera for motion picture, plain and simple, so our target audience is the filmmaker community. 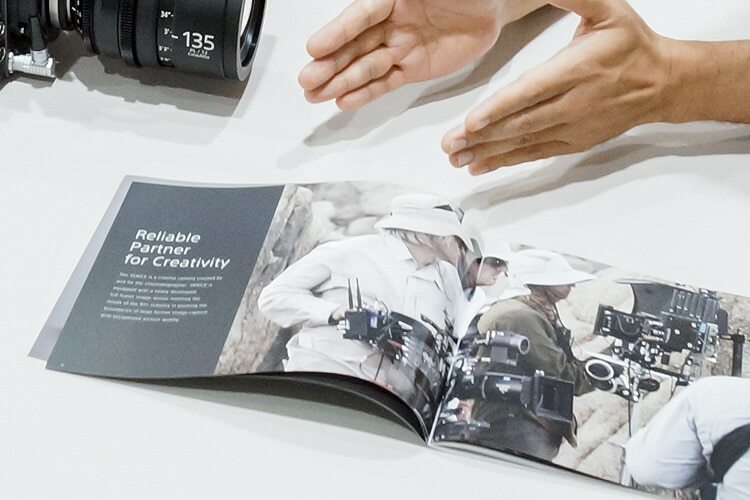 In formulating our communication design for the product catalog, we didn't abide by the standard approach of talking up Sony’s technological edge—we figured that focusing on film-industry professionals and putting their voices front and center would be more effective. As we interviewed directors, camera operators, assistants, and other experts on the creative side of film production, they gave us real, informed perspectives on using the VENICE and helped us visualize how the product would fit into shooting environments. That’s where the heart of the communication design is: foregrounding the reliability of the VENICE through the actual creators’ eyes. To capture the camera in action, we asked a photographer with hands-on experience in film production to take photos of the product on set. With that, we had what we needed to reach film-industry professionals—our target audience—with a message that’d really resonate with them on a visual level, too. The naming of the product is another break from our convention. Sony has traditionally used model numbers which consist of letters and numbers, but we decided to shift gears and go with a product name that’d evoke a clear image. "VENICE" is an allusion to Venice Beach, a location in Los Angeles and near Hollywood—which gives it a great initial impact in resonating with the film-production community. Hitting our target audience with a bold, compelling message also entailed showcasing the VENICE’s abilities, so we asked Academy Award-winning cinematographer in Hollywood to shoot a short film with the new camera. In the end, the short film played a big role in shaping the overall communication: we premiered the film at our product launch events, a move that not only helped us show the audience what the VENICE can do in terms of visual quality but also gave the creative community a clear glimpse of how committed and passionate Sony is about filmmaking. Since the VENICE hit the market in February 2018, you've kept interviewing users, verifying results, and releasing firmware updates. Market penetration has come quickly, too, with the camera already making an impact in Hollywood, the United Kingdom, and even Asia. How do you explain that great reception in the film industry? OkahashiWhen it comes to professional-grade devices, the people on the product side can only go so deep. We might think our camera designs and UI tweaks are perfect, but that's just our perspective. We can’t be exactly sure how the results will play in the market. For the VENICE, then, we decided to get designers involved during the earliest phases of the project, work with filmmakers to iron out our ideas, and gleaned real, honest input from our target segment. We learned so much about what they really needed, down to the smallest details. If you’ve got a rock-solid foundation in what your product’s all about, you feel confident about what you’re putting on the market. That’s definitely how we feel about the VENICE. Forrest The VENICE project epitomized co-creation. From product planners and designers to filmmakers, everyone poured so much creative energy into imagining up the ideal cinema camera. Over the course of that process, the team members made a conscious effort to explain the ideas behind their designs to everyone else; it was incredible to see everyone take on that responsibility, embrace their roles as invested stakeholders, and bring the project to fruition. 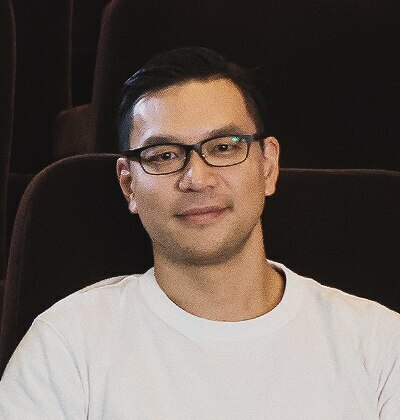 The whole development team respected their counterparts from the film-production community and committed themselves to creating something that creative professionals would love—and that, I think, is why the VENICE has proved so successful in the film industry. By continuing to co-create with creative minds and always striving to forge deeper collaborative ties, we can dream up visual experiences that nobody’s ever seen. I'm excited to be part of that. Sony’s brand-new VENICE cinema camera is just what film-production professionals have been waiting for: a product that puts on-set convenience first. How did the development team know how to deliver optimal convenience? By listening to and learning from the creators themselves, valuable partners in the transformative, groundbreaking process of co-creation.